I have day 5 home work finished!!! 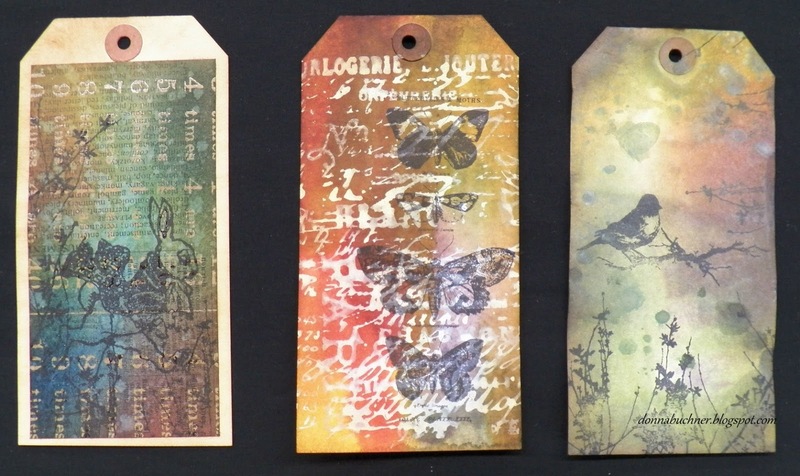 The second tag is called Stamping with Stains Technique. Using the distress stains and picket fence. 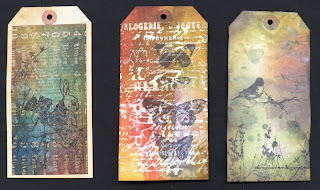 The third and last tag is called Marbled Stains Technique. Yes we used the distress stains to achieve this cool look, at least I think it is. 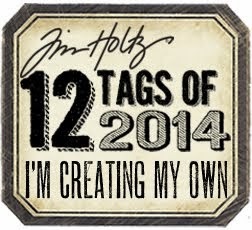 These tags were alot of fun!!! Thanks Tim! To be honest the photo helped make the picket fence look whiter. The white is more of a cream color in the darker areas. Next time I will use lighter colors then the white should show better.